We have helped some of the world's best known companies improve business performance and results by developing the management, leadership and individual skills of their people. 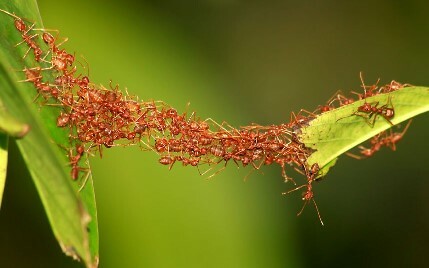 Fire Ants work together to overcome huge challenges, by creating rafts and bridges using just their bodies. Our name reflects the importance we place on the same key traits that enable success for these tiny creatures; tenacity, collaboration and the drive to achieve big changes with limited resources. We provide Training, Team Development, Coaching and Consulting services to help your people perform better at work. We blend our experience and expertise with your organizational style, culture and language to create learning & development solutions that 'feel' authentically in-house, ensuring that ALL Participants are fully engaged and transfer the learning to work.